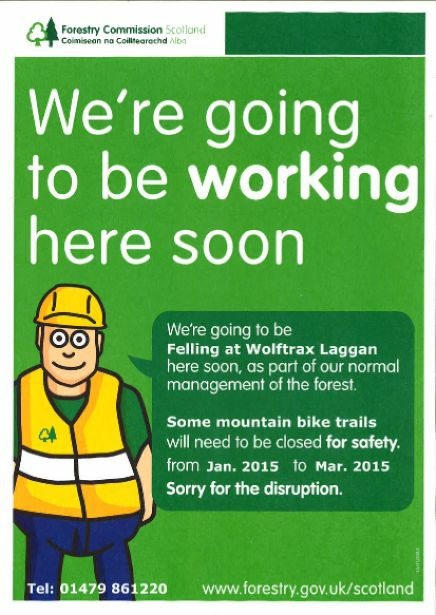 The Laggan Wolftrax Cafe is opening on Friday 3rd April! 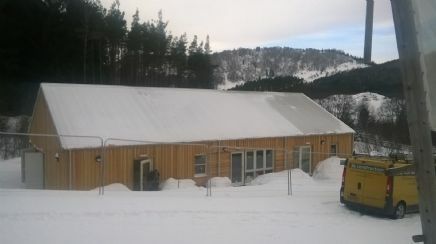 The snow's back - but hopefully not for long. This week, we're hoping for news that some of the trails will be open for Easter weekend. 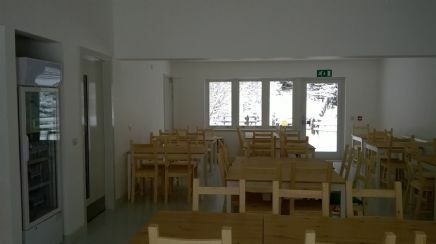 The cafe set-up is almost complete. And we're planning to open on Friday 3rd April - Good Friday! 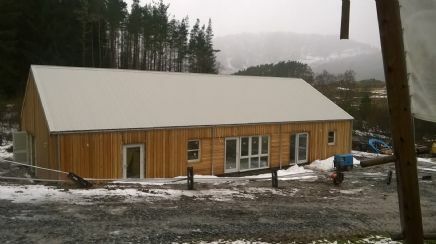 Laggan Forest Trust moved offices into the new Laggan Wolftrax Centre last week. 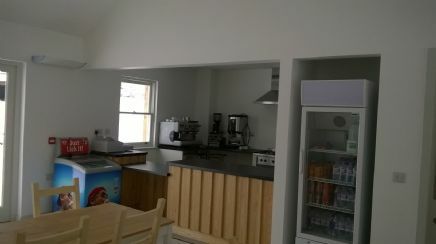 Work on the kitchen and cafe continues. Everything is looking good for an Easter opening. 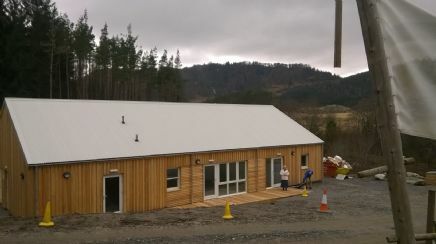 A few bits and pieces to be tidied up still, but the new Laggan Wolftrax Centre is almost ready for us to move in. 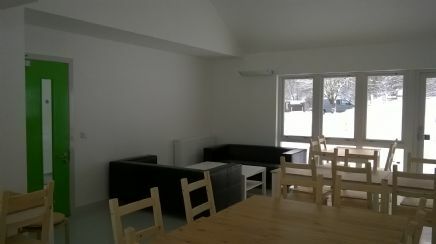 Our office move is later this week and work on setting up the cafe is underway. Here is Joan Chalmers, our new Cafe Supervisor, on her first day. We're looking forward to the delicious coffee and all those yummy cakes which Joan will soon be serving. 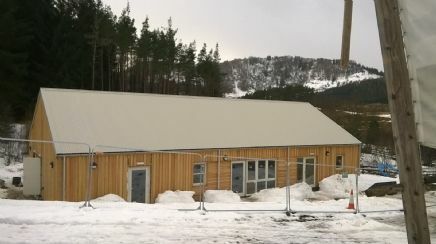 Final week of building work by 3b - the new Laggan Wolftrax Centre is due to be handed over to us later on this week. There will still be some landscaping work to do outside. And some finishing off to do inside. But everything is looking good. 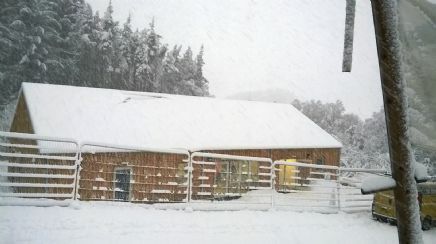 More snow! 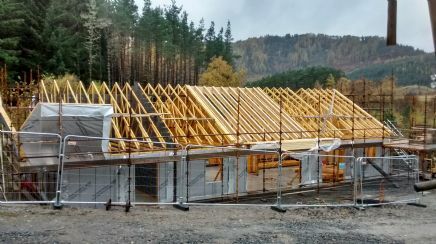 Good progress still being made on the new Laggan Wolftrax Centre - the snagging meeting is scheduled for later this week, so not long now. 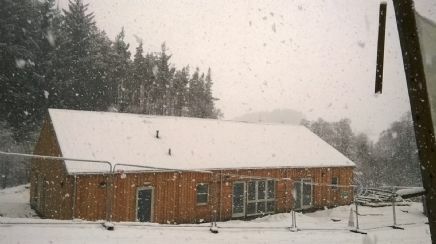 The snow's back again! 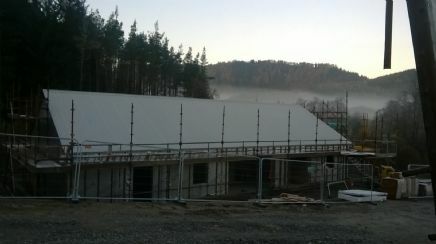 But the 3b builders have managed to get up the road, bright and early, as usual - so work is continuing apace. 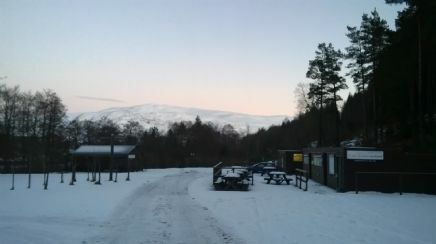 Most of the snow has melted now and the Forestry Commission harvesters are busy working on clearing the trails. 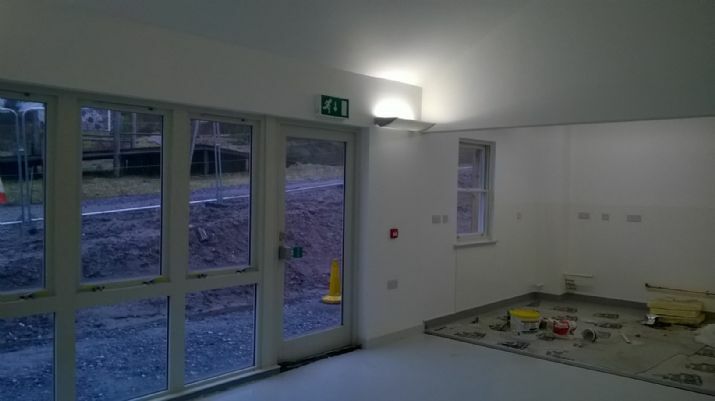 There may not be any change on the outside of the building, but there's a lot going on inside - the toilet cubicles are going up, the fire alarm is in place, the electrical work has been completed. 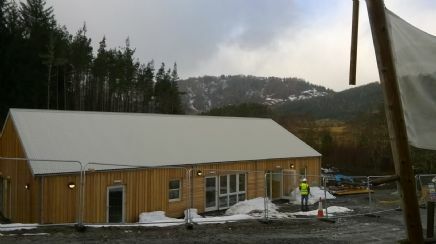 Still lots to do, but only about three weeks to go now until handover. 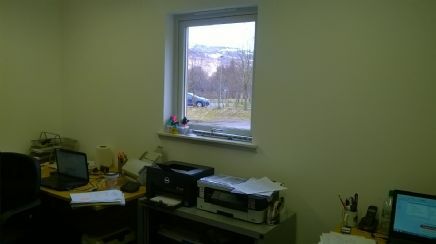 And there's a great view, out of the back of the building. 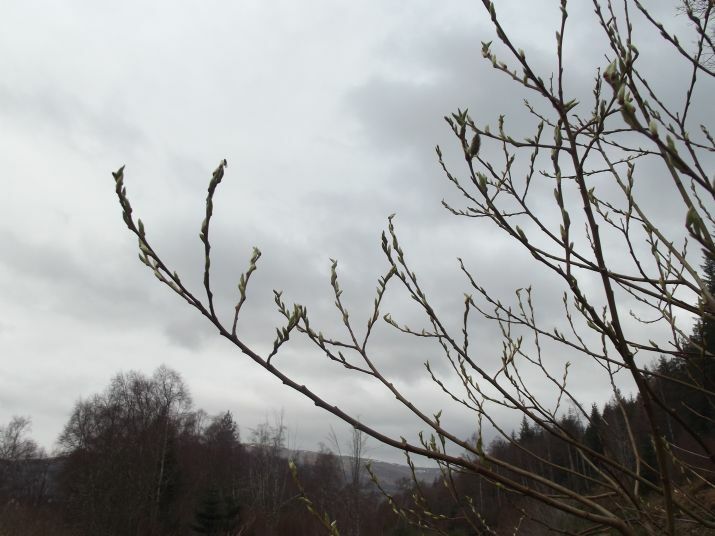 The snow's melting, it's warming up, there's no wind and we are waiting to hear when the Forestry Commission are going to come in to clear all the trees which have been blown down over the trails. 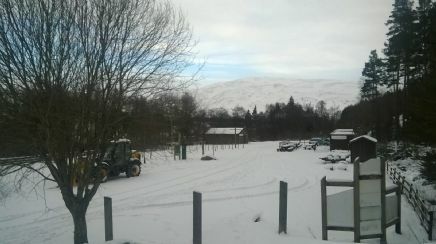 Lots more snow here, which has been causing slight delays to the building work. But good progress is still being made. And the views are lovely! 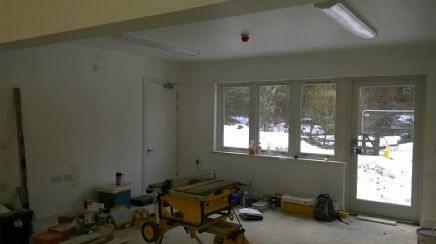 Excellent progress on the building work - the electrics are almost finished, and plumbing is underway. 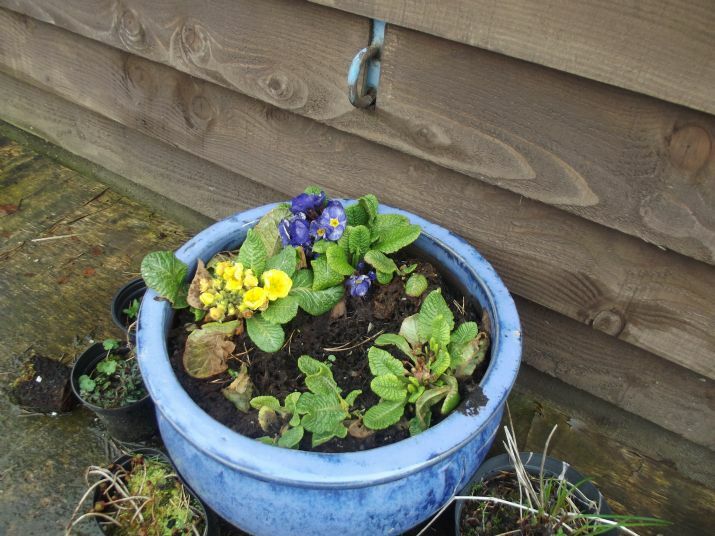 We've had lots of snow, but some of it has melted now. Beautiful, bright, crisp, day today, but very cold. No water on-site and the toilets are not functioning. 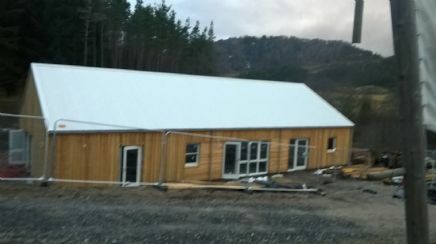 But the building work is making good progress. 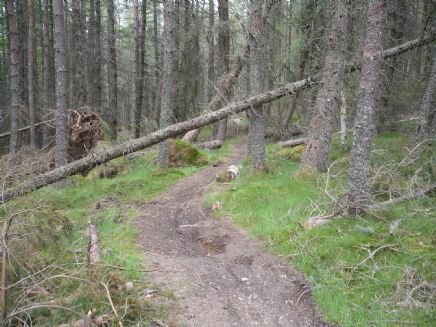 There are a lot of trees down, due to the weather over the weekend, so we're waiting for the Forestry Commission to come out to assess the trails - better not to go into the forest at the moment. 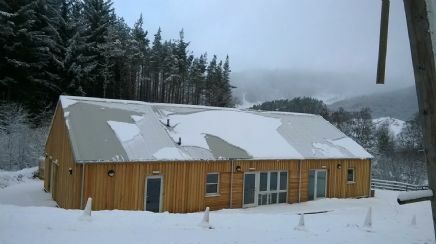 The good news is that the new Laggan Wolftrax Centre has not blown away! And it hasn't been flooded, despite all this water. Christmas and New Year over .... no update on when the trails will be closed at Wolftrax, but the "brown" trails on the other side of the road are out of action just now. 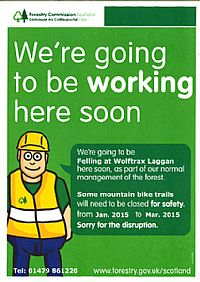 The Forestry Commission have warned us that there will be trail closures at Laggan Wolftrax during January to March 2015. Check on Facebook for current updates, or ring us on: 01528 544 366. 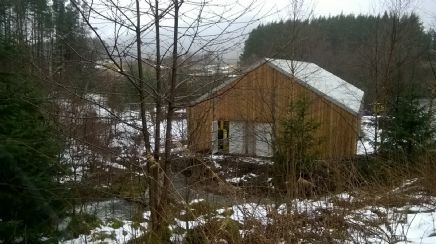 Take a look at the Laggan Wolftrax Centre page to see what the centre will eventually look like and take a look at our News Page to find out about our Community Visit open day, held on Saturday 22nd November. 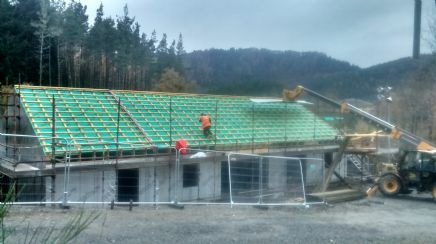 Last week of building work before Christmas - the floor is being prepared, with concrete being poured later this week. 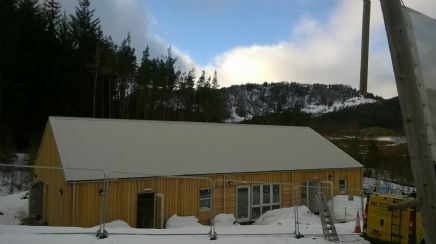 And it's a lovely cold, clear, crisp day today - with great views from the new centre. 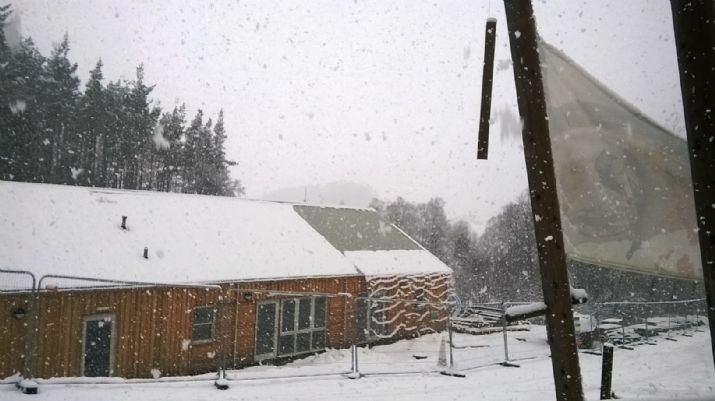 We've got snow! Inside, there's good progress on the plasterboard. Doors and windows installed and lots of electrical cabling inside. 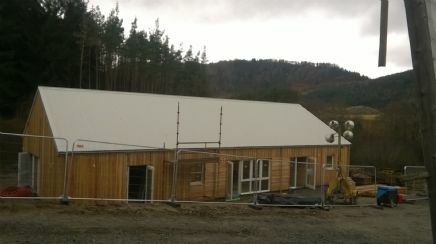 Timber cladding in place, electrician and plumber due this week! The Bike Hire and Uplift services are now CLOSED for the season - but we have ex-hire bikes for sale, so contact us on 01528 544366 if you are interested in buying one. 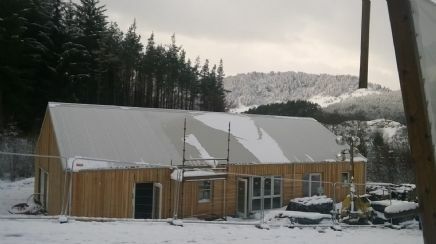 I know it doesn't look much different from last week, on the outside, but there has been lots of progress inside, and the timber cladding is also starting to appear. 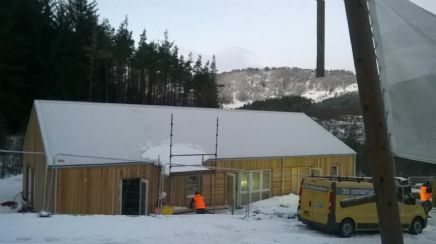 It is a cold, dark morning - but now we have a watertight roof. 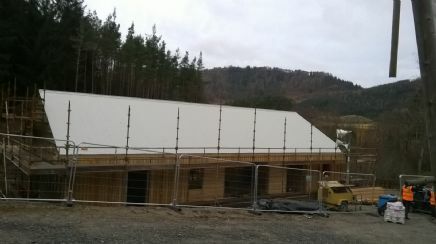 Now we've nearly got a roof! 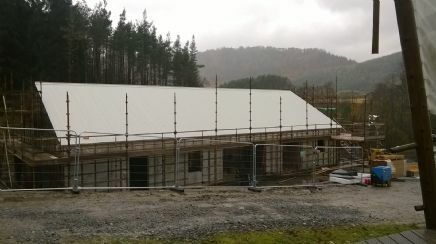 The building is really taking shape now. Such big changes this week it seemed like another photo was needed. 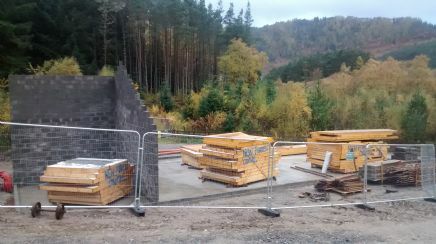 Looks much the same as last week, but a blockwork wall has now appeared. 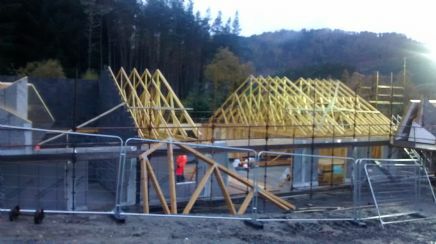 Foundations all finished, deliveries of scaffolding on-site, block work starting and the joiners expected later in the week. 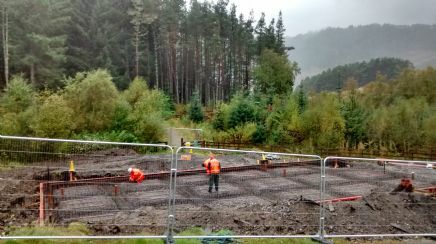 Horrible weather this morning - but work on the foundations is progressing. We had a slight setback a fortnight ago, when the builders had to leave hastily due to one of their partners having severe appendicitis. This resulted in a lost week - so we are officially now in week two of the building work. A big hole has been dug and refilled - to provide a firm base for the foundations. 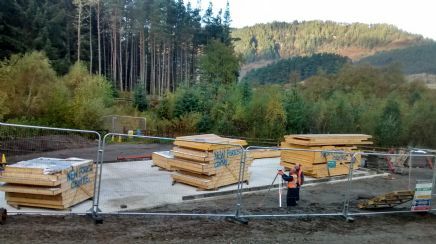 Laggan Forest Trust is delighted to announce that 3b construction have arrived on site this morning. 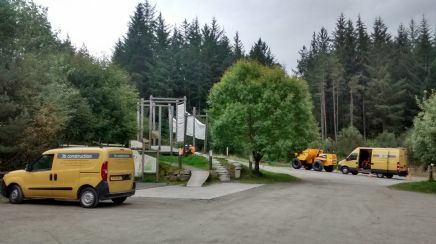 At last the building work on our Forest Centre is about to begin. 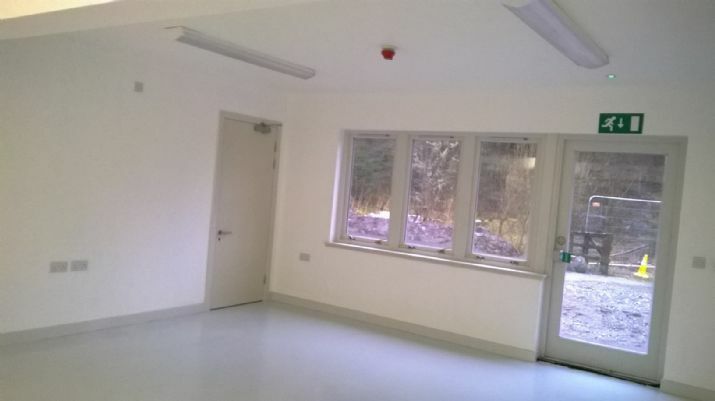 Be part of the new Forest Centre! 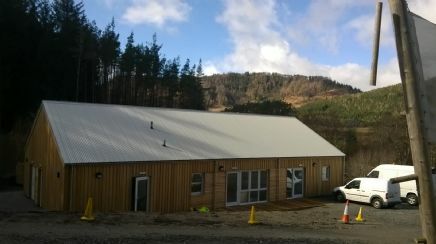 Laggan Forest Trust are looking for interested parties to lease the café and mountain bike shop in the new building. There is more information on our Forest Centre page or you can download our Expressions of Interest pack from here. 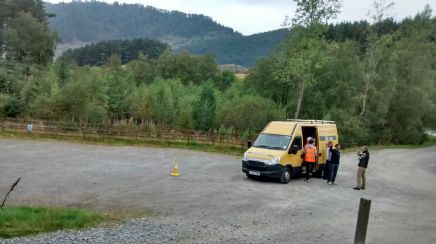 Mapping complete, we held our Teaching Orienteering Course on the evenings of the 4th and 5th of June with the full complement of 14 people. 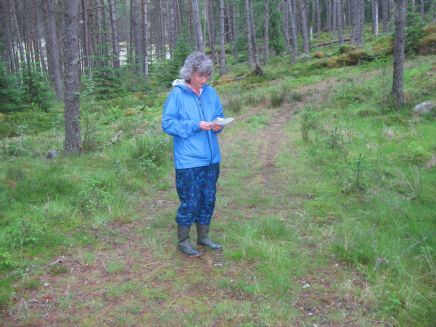 Experience ranged from outdoor activity instructors to grandmothers who had never orienteered before but wanted to learn something about map reading. Great fun was had in the hall on the first evening with much hilarity as people rushed from control to control along tapes laid out on the floor. On the second evening, thankfully the threatened storm never materialized and we enjoyed planning routes in the forest and finding our way from point to point. The key thing was to move faster than the midgies could fly! This was an excellent course, enjoyed by all who took part. A number of people were unable to make the course this time, so we will offer another one in September. The launch of our new semi-permanent orienteering course, complete with BBQ, takes place on Tuesday June 24th at the Wolftrax car park. If you would like to have a go, come along from 6.00 to register. Participate in a course to suit your experience from 6.30-7.30. Help will be available for those new to orienteering. 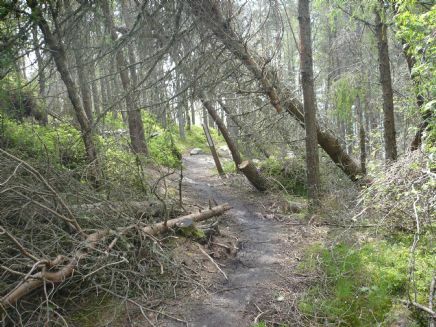 Most of the trails are now free of windblown trees, but there are still places where particular care should be taken, as these pictures taken on the lower red trail show. 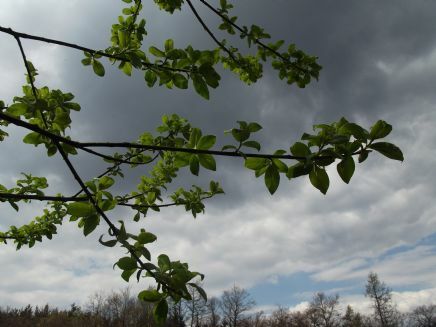 Well, considering that it is the 1st of May today, with spring rapidly turning into summer, it is cold and quiet here at Wolftrax. It is an absolutely stunning day here today - blue sky, very still, bright sunshine, but still quite cold and fresh. 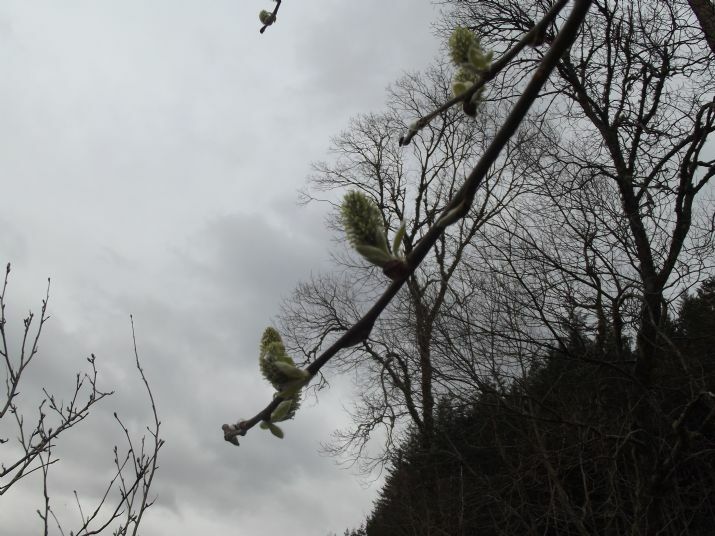 A huge change from yesterday morning when it was pretty grim, with rain and wind. 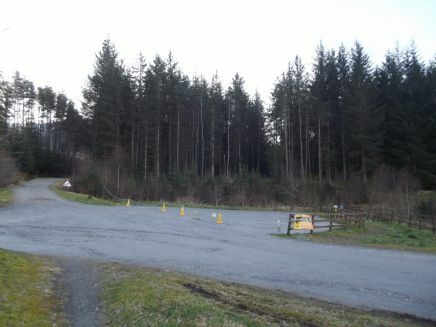 We've been getting lots of bikers in the car park here at Wolftrax recently, and expect to be busy over Easter weekend. 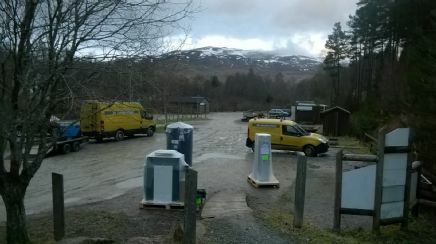 You can now pick up the Wolftrax trail map and the Laggan Paths leaflet from dispensers outside the toilet block. We are hoping to provide bike hire and uplift soon, and to have a catering van in the car park - so watch this space. 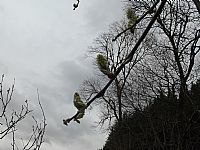 The weather at Wolftrax has not been very good this week, but there are definite signs of spring. 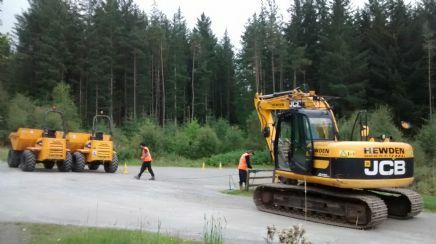 After an open and transparent tender process, we are pleased to announce that 3b construction, of Newton Stewart, have been awarded the contract to build our new Forest Centre. We were sorry not to receive a competitive local tender, but very happy to accept 3b construction's tender, which was by far the lowest. There are still some details to finalise, but we are hoping the building work will start next month - it should take 18 weeks to complete. 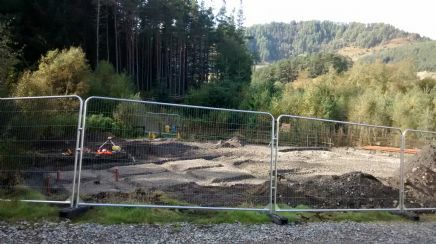 This is our building site - no work has started yet, as you can see, but hopefully it won't be too long now. 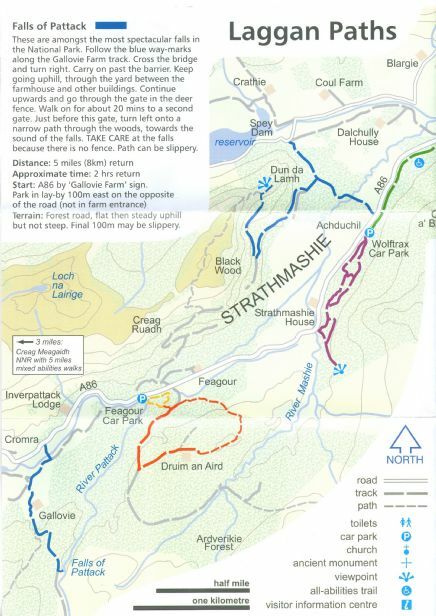 Laggan Community Association, with the help of Cairngorm National Park, have produced a new leaflet about walks around Laggan. 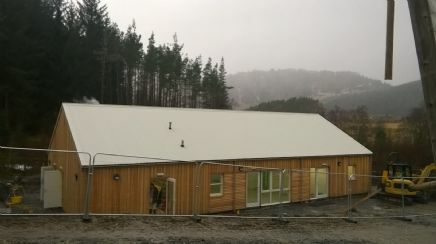 You can pick up a copy from the Laggan Forest Trust office at Wolftrax (open 3 days a week, usually Monday, Tuesday and Thursday) or from the Pottery Coffee Shop just down the road. The image below just shows part of the leaflet - you can download the whole leaflet from the link at the bottom of the page. 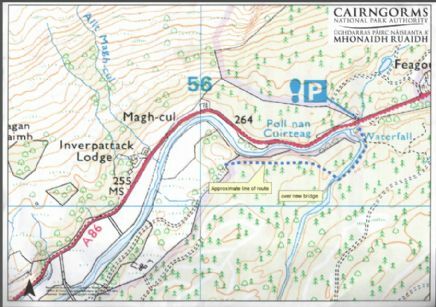 With funding in place, we are now all set to develop our semi-permanent orienteering course in the forest at Strathashie and on Ben Alder land, providing an alternative outdoor activity. Steve Barrett, of Stirling Surveys, has been appointed to remap the area and is working on this during March. After that, we will order equipment and plan the first course. If you would like to learn about Teaching Orienteering there will an indoor evening on 4th June, followed by an outdoors evening on 5th June. The idea is to give people the skills to help beginners get started. No prior knowledge of orienteering is required. The course is sponsored, so is unlikely to cost more than £10. 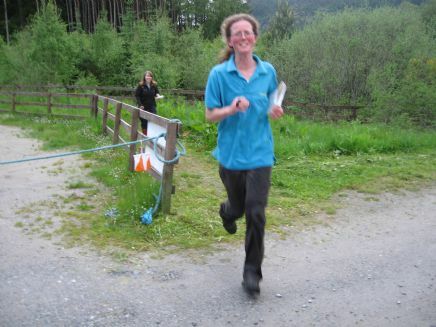 We are planning a launch event and BBQ, with the Badenoch and Strathspey Orienteering Club (BASOC), on 24th June. Check the events page for up-to-date details. Over the summer we will be offering help to visitors who want to have a go but have never orienteered before. 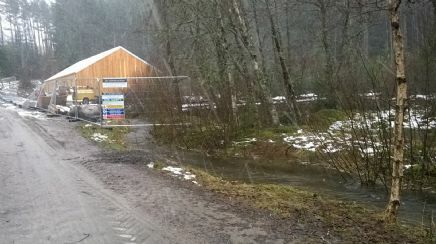 Following discussions with Ardverikie Estate, Forestry Commission Scotland and the Cairngorms National Park, and using materials and labour contributed by Quad Bike Tours and Laggan Forest Trust, the Laggan Marketing Group has constructed a kissing-gate in the deer fence between Ardverikie Estate and Feagour Forest. 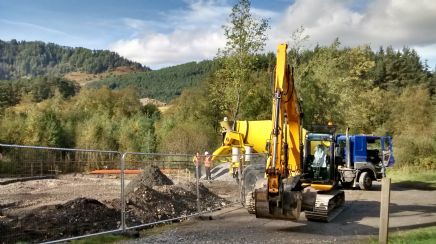 Rather than cross the bridge at Gallovie and on to a notoriously dangerous stretch of the A86, walkers and off-road cyclists can now follow a track on the south side of the river Pattack, through the new gate in the deer fence, then down to the A86 by the Lower Pattack Falls.